Camden Town. The late 1980s. A hinterland of rundown squats, petty crime and hard drugs. 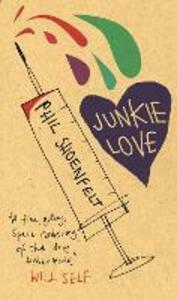 Raw, repellent and yet shot through with mordant wit, Junkie Love is Phil Shoenfelt's semi-fictionalised account of the heroin addiction that almost cost him his sanity and his life.